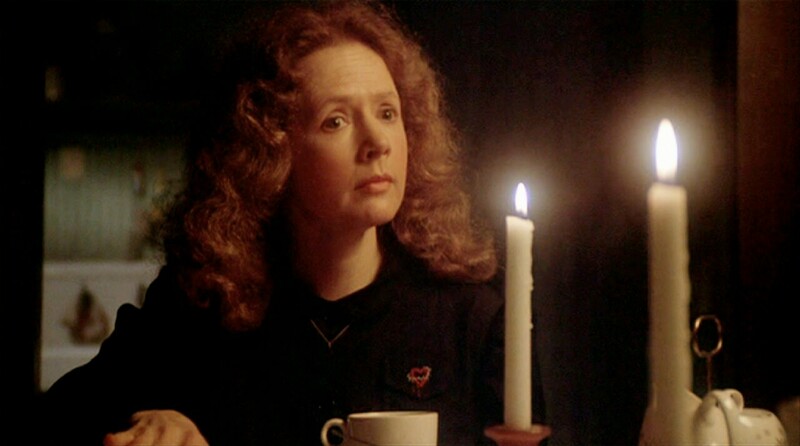 Religious zealot, paranoid, probably undiagnosed schizophrenic – these traits exist in Margaret White, mother of the eponymous protagonist in Brian De Palma’s horror classic. But is she truly an evil mother? The best villains in film are complex, even sympathetic. So while Margaret White’s actions – locking her daughter, Carrie, in the “sin closet” and spewing religious vitriol – don’t inspire sympathy, it can be argued that she has convinced herself that she is acting in the best interests of her child. As a mother, Margaret feels compelled to protect Carrie from moral and spiritual corruption. Her spiritual mission leads to dangerous over protectiveness. But this list is labelled “terrible parents”, so while Margaret believes her actions are ironically noble, they are also terrible, and certainly create terrible consequences for her daughter. Carrie’s sheltered life has made her withdrawn and afraid – entirely unable to cope with the pressures of school life. Her damaged emotional state and struggle to build friendships make her an outcast and the subject of cruel taunts from other teenage kids. At such a vulnerable stage of life, Carrie lacks a nurturing maternal figure. Her father has died, leaving her exposed to her mother’s insecurities and fears. The ultimate power of King’s story and De Palma’s adaptation is the notion that highly charged emotions (anger, fear) left to fester can manifest disastrously. The film’s controversial and shocking climax culminates in the powerful expulsion of Carrie’s repressed emotions – caused by her controlling, abusive mother — with fatal consequences. Carrie succumbs to the victim role her mother inflicted upon her, which plays itself out to an inevitable, tragic conclusion. 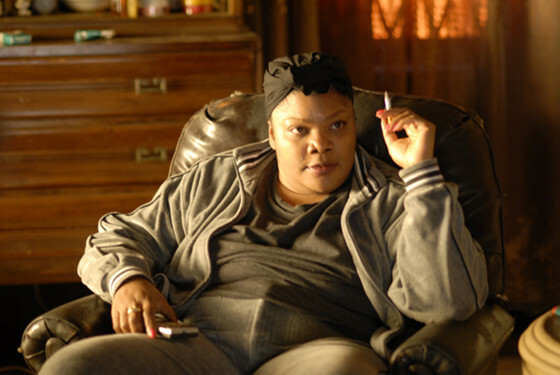 Rapper Mo’Nique’s excoriating performance as the abusive mother of an obese, illiterate young woman deservedly won her an Oscar. Her appalling character is one reason why this film is a sucker punch of emotion and so tough to watch. Precious (Oscar nominated Gabourey Sidibe) is pregnant with her second child. Regularly sexually abused by her father since childhood, she fell pregnant with her first daughter; born with Down syndrome. Mary rages against Precious’ desire for an education, violently and verbally destroying her confidence, and demands that Precious follows the family cycle of welfare dependency to make money. Mary’s experience of life is one of abject poverty and it’s made her bitter and angry. Still, Mary passively takes her welfare checks, and never looks for a job. As a role model, she’s pathetic. Contrasted against the fantasy life Precious dreams of – where she is glamorous, rich and adored by the world – Mary is the horrifying reality check. Precious’ only real, positive connections to sympathetic, supportive women are through an encouraging teacher in an alternative school (Paula Patton) and a concerned social worker (pop star Mariah Carey). These women represent the way forward out of a destructive, depressing cycle; at the centre of which is Precious’ damaged, spiteful mother. Mommie Dearest is adapted from the sensational, bestselling novel by Christina Crawford. For the adopted daughter of 1940s Hollywood starlet, Joan Crawford, there’s no holds barred and definitely no love lost. Faye Dunaway’s portrayal of Joan Crawford in the film was trashed by most critics. Esteemed critics Pauline Kael and Leonard Maltin would champion her performance, though, labeling it “brilliant”. Dunaway plays Crawford as a grotesque monster mother, in a movie and performance she would later call “exploitation” and “like kabuki”. Little wonder the film and Dunaway’s performance is so polarising. Crawford is a wholly terrifying screen mother and a shell of a human being; insecure, self-obsessed and clinging to the ephemeral notions of power that celebrity cultivates. In a whirlwind of destruction, she leaves her adopted children in her wake; they are merely pawns to feed her all consuming ego. Midnight raids on Christina’s bedroom, hauling her out of bed and demanding she help with bizarre chores like chopping down rose bushes with an ax; her behaviour is erratic, driven by fear of the press, ego and malice; she beats and even strangles her daughter. 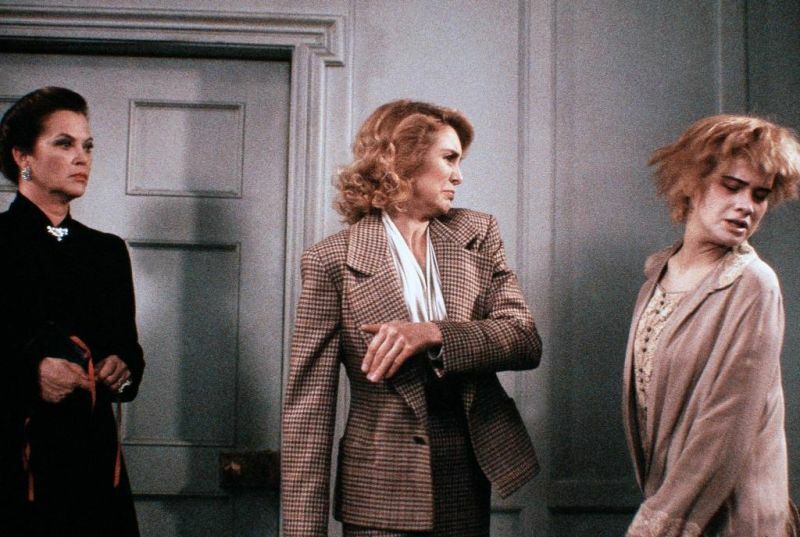 When cinema audiences laughed at Dunaway’s histrionics, Paramount switched tactics, and promoted Mommie Dearest as a camp classic (much to Dunaway’s disgust). 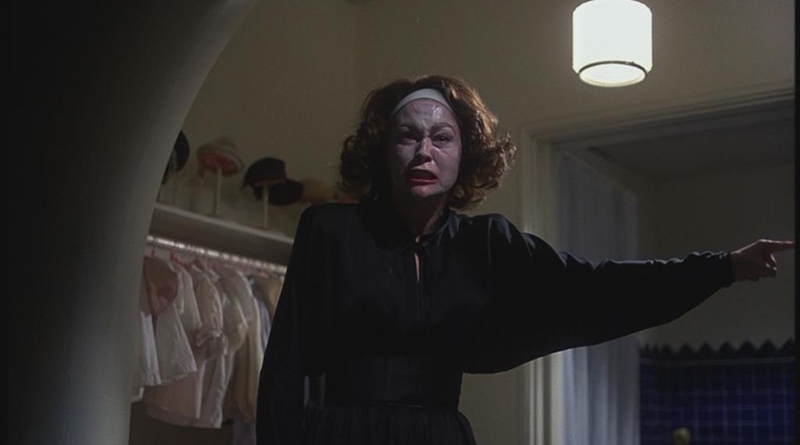 Many scenes have gone into film folklore – especially the “no wire hangers!” scene, where Crawford yells at her daughter and beats her with wire hangers. The film “won” 9 Golden Raspberry Awards, including “Worst Film” and “Worst Actress” for Dunaway. Mommy Dearest is highly melodramatic, but oddly potent, as an example of how an opulent lifestyle, money and celebrity can warp a mother into becoming controlling and cruel. Hirokazu Koreeda’s heartbreaking drama about four siblings in Tokyo abandoned by their mother is all the more painful when you know it’s based on a true story. Keiko (Japanese actress, You) has been in and out of relationships for years. All of her children are from different fathers who didn’t stick around. The children light up around her, though it’s obvious to us that she’s not a responsible mother; hiding her smallest children in hot, stuffy suitcases as the family flits from apartment to apartment across Tokyo. Our sense of foreboding builds when Keiko tells her youngest daughter, Yuki, that she once was a successful singer. Keiko makes the worst decision to leave her children, with no warning; only a small sum of money and a note for eldest son, 12 year old Akira. Initially she comes back after a month, telling her children that work in Osaka had taken her too far away. When she leaves again, Akira finally discovers his mother’s lie; she resigned a month prior. With mounting bills, the strain starts taking a toll, with tragic consequences. The performances from the children are achingly believable and the resilience and fortitude they display is heartbreaking. Koreeda’s camera focuses on small, poignant details: Akira’s sneakers as he trudges along the wet road with a bag of groceries; Yuki’s fingers brushing her brother’s hand. Nobody Knows is, indeed, touchingly subtle, sad and compassionate. It’s hard to fathom Keiko’s decision to abandon her children to satisfy her own selfish desires. The film doesn’t attempt to justify her actions, simply because there can be no justification. Keiko deserves to be on this list of terrible parents for willfully abandoning her children and failing to be the loving, caring mother that any child needs. In the Coen Brothers off-the-wall cult comedy, the terribleness of these parents is their sheer ineptitude and stupidity. They aren’t cruel, per se. No, not terrible in that sense. Just really, really bad at their plan to kidnap a family’s quintuplets. 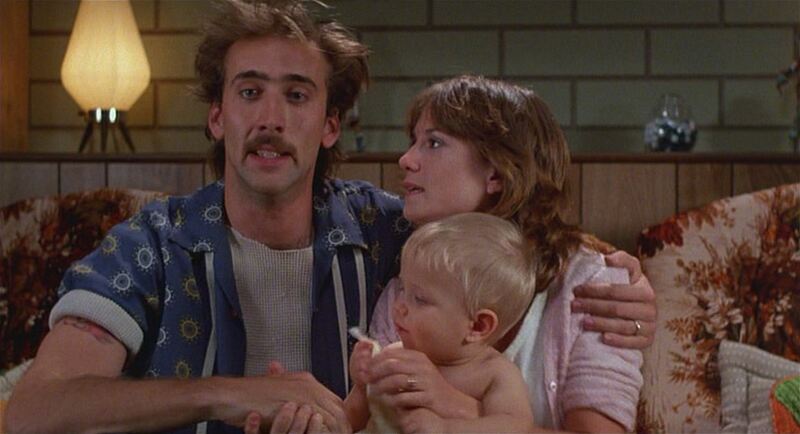 “I want you to go up there and get me a toddler”, says ‘Ed’ (Holly Hunter) to her hapless husband, Hi (Nicholas Cage); a robber with a high recidivism rate. The childless couple want kids, come what may. For these idiots, what comes is a bounty hunter (Randall ‘Tex’ Cobb). Dealing with Hi’s jail buddies (John Goodman and Lee Forsyth) who are looking for a place to hide, and robbing a convenience store for Huggies supplies, Hi and Ed are what you’d call “unconventional” parents for baby, Junior. This parenting caper is clearly tougher than they thought! Barry Sonnenfeld’s cinematography is a surreal delight, amplifying Cage and Hunter’s deliriously broad comic performances. A modern adaptation of a Henry James novel, What Maisie Knew depicts the devastating effects of a custody battle on six year old, Maisie (a remarkably mature performance from Onata Aprile). Punk rocker, Suzana (Julianne Moore) and her Englishman ex-husband Beale (Steve Coogan) are vacuous and entirely too wrapped up in their own lives to notice the trail of destruction they create for their daughter. Suzana escapes into her own world of touring and rehearsing, rarely paying attention to Maisie, or emotionally manipulating her into giving her compliments. Beale regularly flies between England and America on business; leaving Maisie in the care of au pair, Margo (Johana Vanderham). We desperately want Maisie to stay with Margo, and Suzana’s new boyfriend, Lincoln (Alexander Skarsgaard). They are caring and responsible. We feel frustrated that her biological parents are so obtuse. The petty bitterness between Suzana and Beale; the loud arguments and emotional jousting – especially speaking badly of the other to Maisie – are reprehensible, immature and damaging behaviours. What Maisie Knew is important viewing for parents, as it highlights the sensitivity of children – and the remarkable resilience and maturity they are unfairly expected to demonstrate – during the tumultuous time of a divorce. It should be considered a guide for “how not to be behave” with vulnerable children. This 80s cult horror is based on a bestselling novel. It was subsequently adapted into a cheesy, overwrought film that’s nevertheless memorable and scary for the unbridled greed and cruelty of a mother and grandmother. After the sudden death of their father, five teenage siblings and their mother (Victoria Tennant) move into a Gothic mansion, owned by their grandmother (Oscar winner Louise Fletcher, Nurse Ratchet from One Flew Over the Cuckoo’s Nest). Angry and cold-hearted, granny lays down severe rules and punishment, and then locks the children up in the attic. Shockingly, mommy dearest conspires against them, helping grandma keep them locked inside their prison. The promise of inheriting a fortune is too tempting for this unhinged woman, who isn’t a fan of sharing the spoils. She feeds her children sparingly, and coerces them to eat cookies laced with poison. Over time, both mother and grandmother take wretched delight in seeing these young children slowly waste away under the influence of poison, malnutrition and the musty confines of the lightless attic. Louise Fletcher could never shake off her most famous evil role in One Flew Over the Cuckoo’s Nest. Those piercing, cold blue eyes and matronly voice inspire dread and her florid performance here is entertaining. Flowers in the Attic may be a pot-boiler, but a mother’s greed and grandmother’s terrifying control are fears that resonate, in the darkest recesses of our minds. Kathleen Turner is perfect as a suburban tormentor, playing foul mouthed prank calls on neighbours and slicing and dicing not only vegetables. The grandmaster of depravity, John Waters, goes for broke; making damn sure that Serial Mom isn’t a one-joke comedy. The honourable social systems feeding us our daily news and meting out justice to murderers is every bit as twisted and demented as a serial killer. John Waters’ satire takes aim at the media and courtroom circus surrounding Beverley’s murderous deeds. Beverly looks sweet as apple pie, except for that maniacal glint in her eye. And while she kills for her family, make no mistake – world’s best mother she is not. Even the tiniest slight against her horror movie loving, geeky son; her overweight daughter and wimpy husband, will send this demented mommy into a rage. Beverly has the will to kill and anything can be turned into a weapon: a car; fire poker; pair of scissors; a telephone… even a leg of lamb! Author Bio: John Catania is a professional freelance film reviewer, who has written for a variety of street press, online and print publications. Currently, John contributes to Empire Magazine Australasia. He is the founder of “reviews from the chair” – film reviews and movie news – on Facebook.